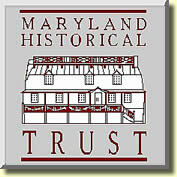 The Maryland Historical Trust was formed in 1961 to assist the people of Maryland in identifying, studying, evaluating, preserving, protecting, and interpreting the state's significant prehistoric and historic districts, sites, structures, cultural landscapes, heritage areas, cultural objects, and artifacts, as well as less tangible human and community traditions. The Trust is the principal operating unit within the Division of Historical and Cultural Programs, which is an agency of the Maryland Department of Housing and Community Development. The Board of Trustees of the Trust is composed of 15 members (12 of which are appointed by the Governor to serve four-year terms, as well as the Governor, the Senate President, and the Speaker of the House of Delegates, or their designees). Maryland's State Historic Preservation Officer, appointed by the Governor pursuant to the National Historic Preservation Act of 1966, is a member of the Trust staff. As of this writing, the Trust and the Division employ 78 individuals at the central offices in Crownsville and at two satellite museum facilities. The Historic Preservation Commission was established in 1975 by Board of County Commissioners for St Mary’s County. It is composed of seven members who are appointed for three-year terms. The mission of the Historic Preservation Commission is to safeguard the heritage of the county by advocating for the preservation of sites structures, or districts which reflect the elements of its cultural, social, economic, political, archaeological, and architectural history; to stabilize and improve property values of such sites, structures and districts; to foster civic beauty; to strengthen the local economy; to promote the preservation and appreciation of the sites, structures and districts for the welfare and education of the citizens of the county. To become involved with or to find out more information on the St. Mary’s County Historic Preservation Commission.